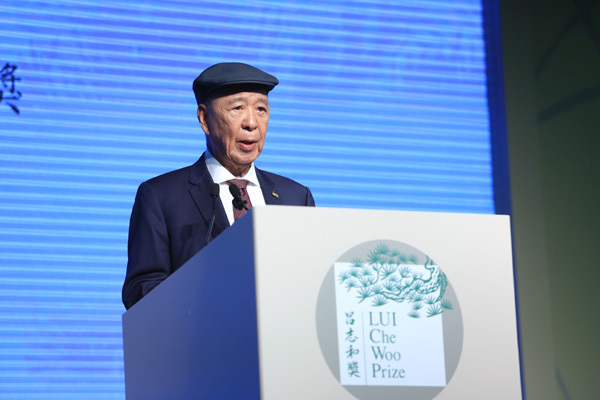 Hong Kong billionaire and casino magnate Lui Che-woo yesterday set up what could be the largest prize in the world - HK$2 billion - to recognize individuals or organizations that have made contributions to advancing civilization. 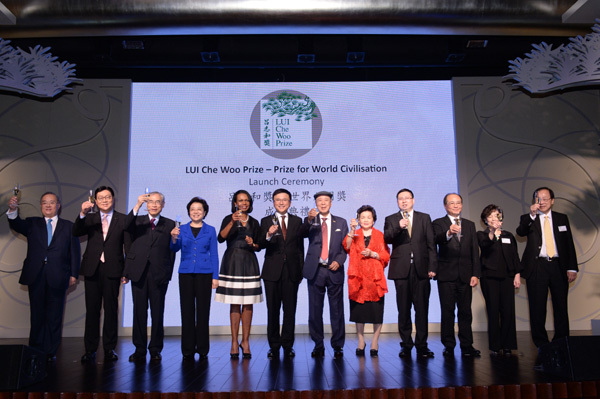 Each year, the Lui Che Woo Prize for World Civilisation will honor achievements "which make the world a better and more sustainable place." Winners in three categories will receive HK$20 million each. This compares with the Nobel Prize, with winners receiving 8 million Swedish krona (HK$12 million) each. The focus of the Lui Che Woo Prize will change every year under the broad categories of sustainable development, welfare of mankind and the "promotion of positive life attitude." Lui, the 86-year-old founder and chairman of the K Wah Group, said at the launch ceremony yesterday: "I hope that the prize would be able to encourage the co-existence of research and innovation, and harmony and love, to remind the world to cherish this precious value and moral concept, to promote relationships among people and minimize conflicts and disputes between countries." 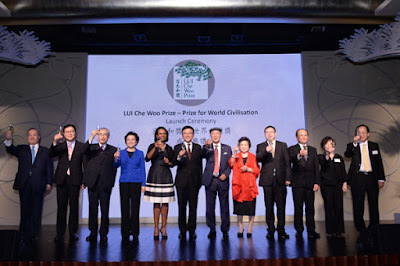 Former US secretary of state Condoleezza Rice flew in from Beijing to attend the ceremony as a member of the prize council, which will decide the winners. "The prize is to recognize those who work for the world that it should be, and not as it is," Rice said. Rice, who became a professor of political science at Stanford University in 2009 after serving in the US administration during president George W Bush's second term, said: "One thing that education can do is it can provide us with an opportunity to understand one another better, and so while I've spent a lot of my time in the world of politics, I've always felt that it is really not politics that will solve this for us." The winners will be a living individual or organization, with nominations from more than 1,000 universities, academic institutions and professional organizations from around the world. An award ceremony will be held in the second half of next year.